Remove your settings as well! 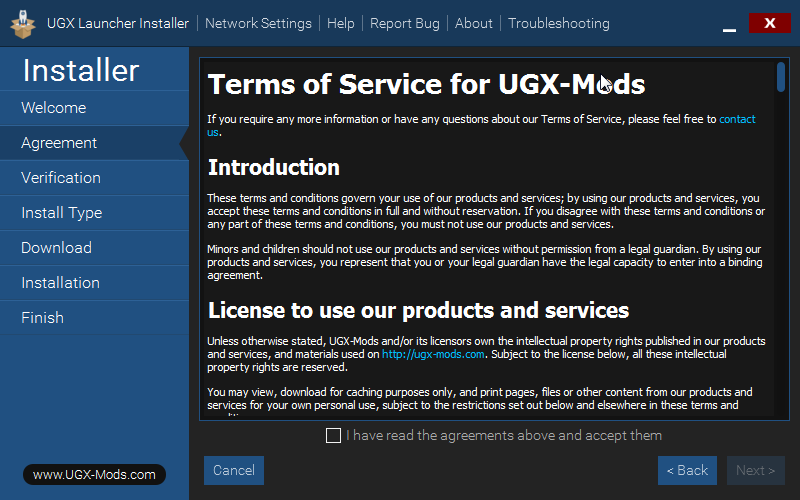 Open the UGX Installer after you downloaded it and select your Installation Language. Accept the Agreement by first scrolling down to the bottom of the document and then checking the accept checkbox. 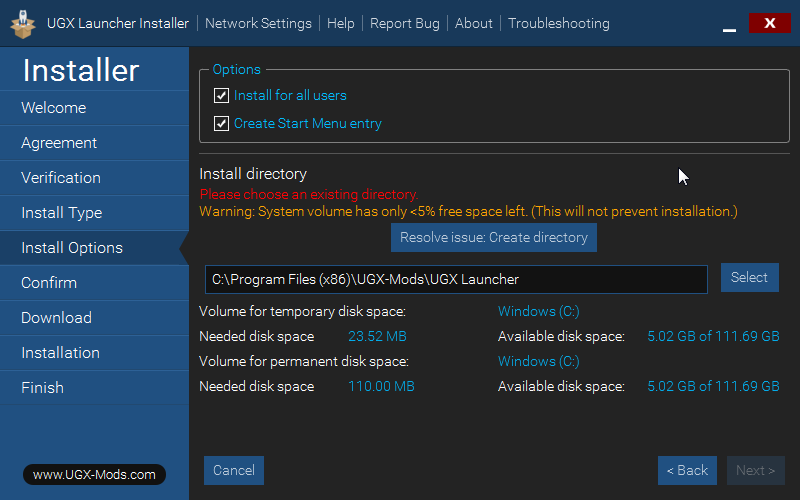 Verification will validate if your PC can install the UGX Launcher. It will do a Security Applications check, to ensure the best experience for you. 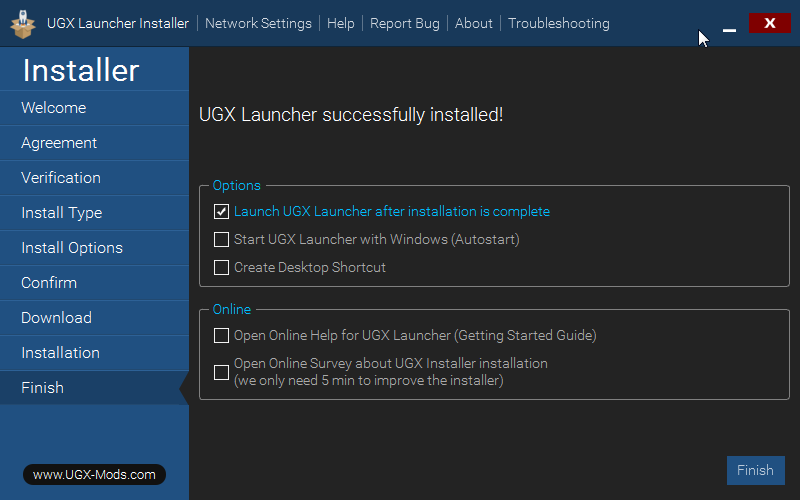 The online check is required, because the UGXL Installer will download the latest version of the UGX Launcher. 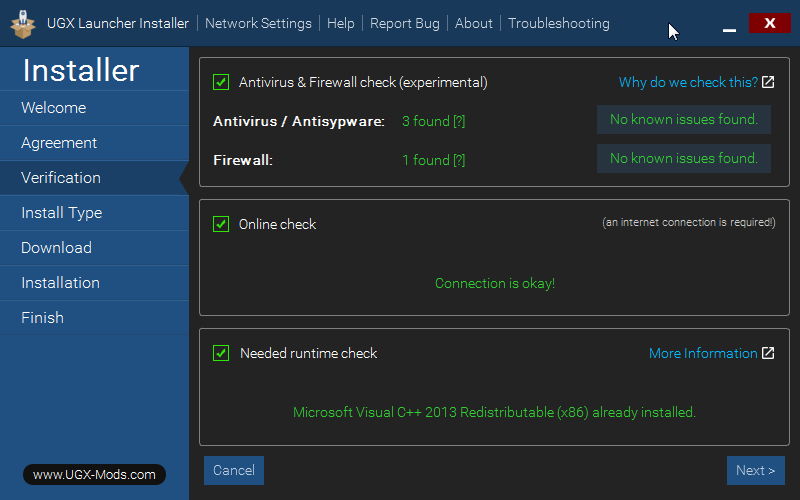 The last step, Runtime Check, will make sure that the needed dependencies are installed. 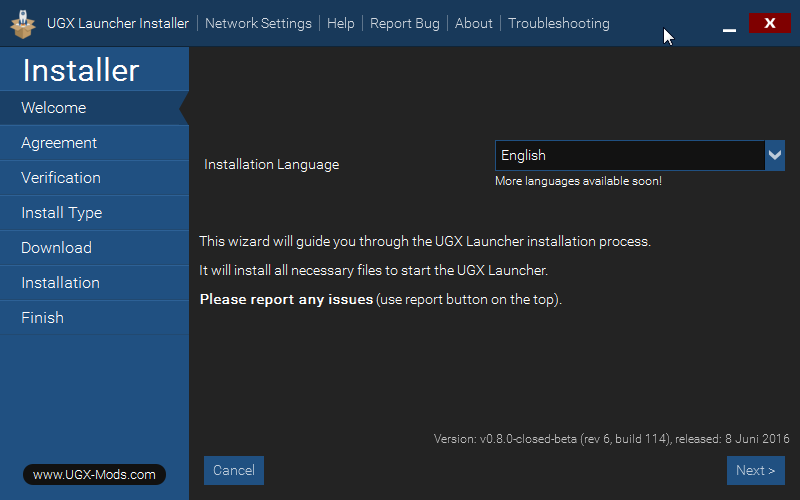 If you install the UGX Launcher for all users every user will have the settings applied. 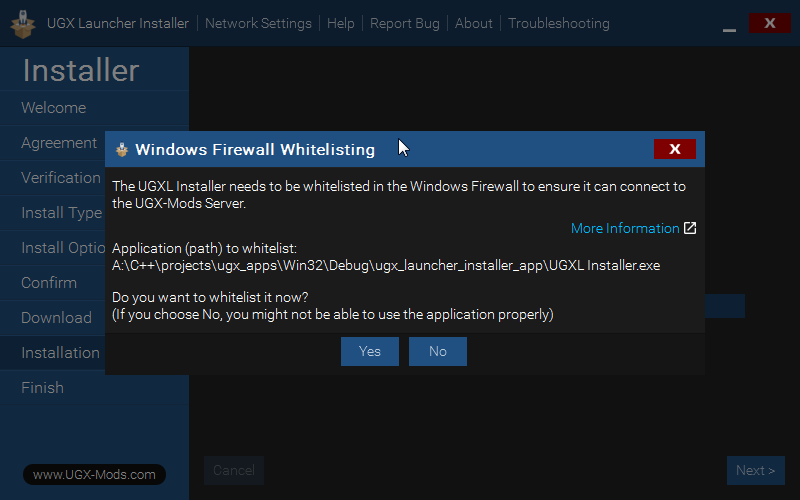 after installation, we run a firewall check and ask for Firewall Whitelisting to improve your experience. 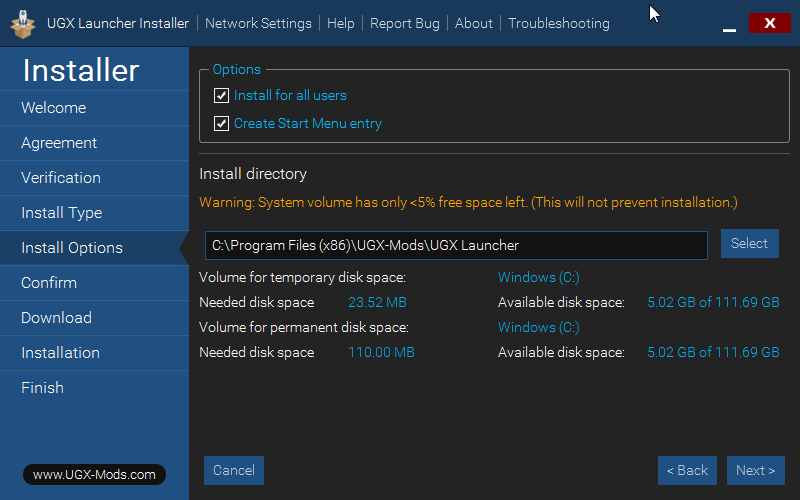 After installation, if you execute the UGX Launcher Installer again, it will recognize the installation and offer Uninstall and Modify.